“Escalade is an aspirational vehicle but is too large for much of the world,” Andrew Smith, executive director of Global Cadillac, said. For many years Cadillac executives have recognized the need for a unibody three-row family vehicle to keep customers from leaving the brand. The urgency for an entry in this segment has grown with low gasoline prices fueling demand for larger utility vehicles in the U.S. and an increasing appetite for SUVs in China. Enter the XT6, a six- or seven-passenger crossover that rounds out the core lineup. The compact XT4 is in the fastest-growing segment, the XT5 is in the largest segment globally, and the XT6 is a walk-up offering more space and utility for families that don’t need the full-size Escalade. The XT6 is practical. It doesn’t try to make a broader statement for the brand. Work started before the XT4 was finished; the XT6 was developed with the full range in mind. 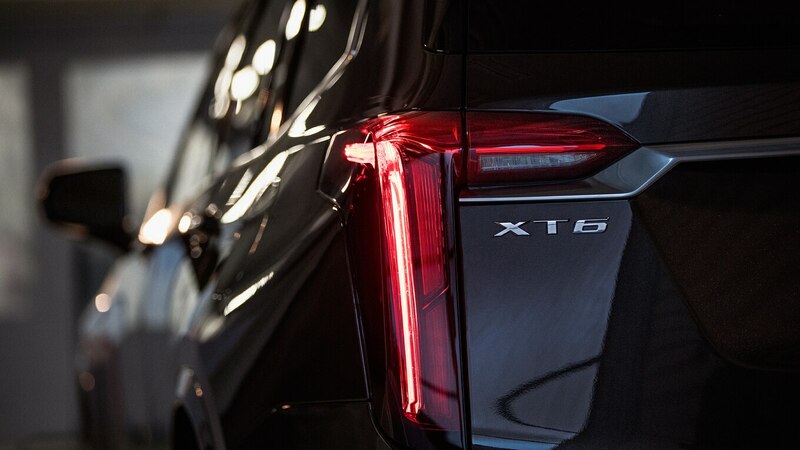 Executives chose to name it XT6 instead of XT7 “because we don’t see anything slotting between this and the XT5,” Smith said. It does not replace the CT6 as the tech flagship—for one, it does not have Super Cruise, which provides hands-free driver assistance on the highway. Super Cruise will start rolling out across the Cadillac lineup in 2020—after the XT6 launch, newly minted Cadillac president Steve Carlisle said. Under the hood, the familiar 3.6-liter V-6 has 310 hp and 271 lb-ft with cylinder deactivation and stop/start capability. It is paired to GM’s nine-speed automatic transmission, as opposed to the eight-speed in the XT5. Although it was designed to accommodate additional powertrains, execs are mum for now. Electric motors might not be in the cards. Carlisle pointed to GM’s strategy of purpose-built electrified vehicles such as the Chevy Bolt and Volt. The XT6 has MacPherson strut front and five-link rear suspension with preloaded springs, and it gets an upgrade from the damping system in the XT5, XT6 chief engineer John Plonka said. Continuous damping is standard on the Sport model and optional on Premium Luxury. 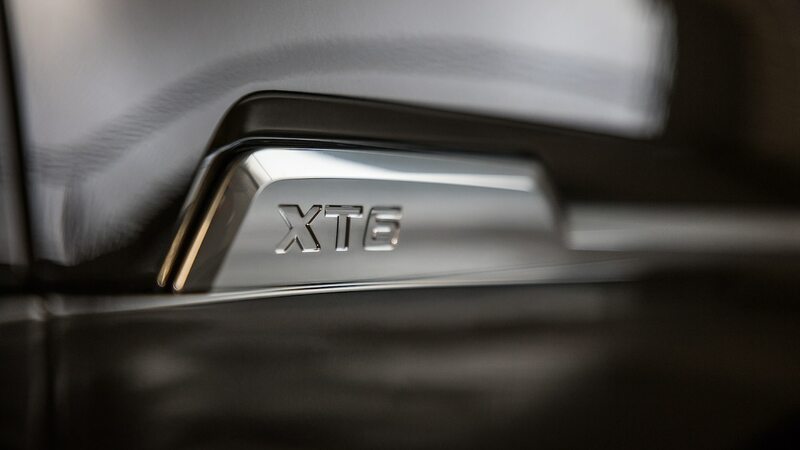 As in the XT5, the optional AWD system can be turned off for better fuel economy. A twin-clutch rear axle provides torque vectoring. AWD is standard on Sport, optional on Luxury. So although the XT6 won’t do Moab, it will tackle the road to the cottage. 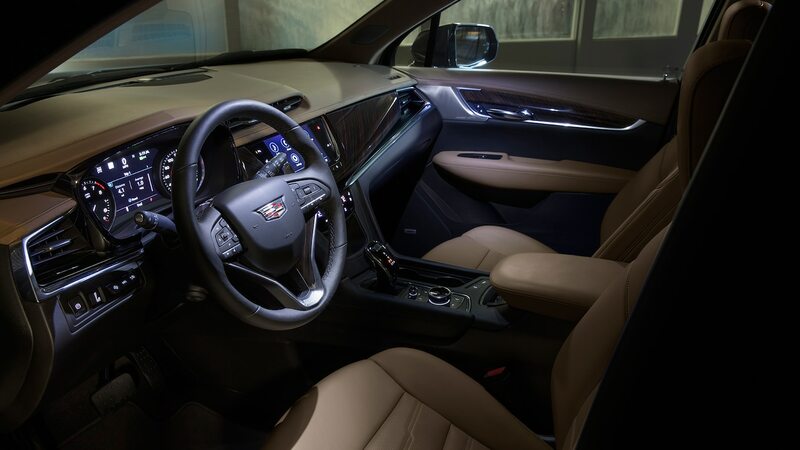 Cadillac designers placed emphasis on a roomy interior. All three rows had to be comfortable. In China this is often a multigenerational purchase, designed for parents in the front row, children in the second, and grandparents in the back—so the XT6 comes with a choice of two captain’s chairs or a middle bench that seats three. This seating arrangement necessitates rerouting air vents, allowing for ample head- and legroom for adults in the back, a dual-pane sunroof, and proper acoustics for conversations from front to rear. Seats have a new structure for comfort, and the leather has a new chevron stitch pattern. The front seats are heated and cooled; the second row is heated. Additional second-row cupholders are in a pull-out drawer under a center console, which has separate climate controls. There are outlets to power devices throughout. Second-row seats pitch, tilt, and slide to access the back row, or you can go between the captain’s chairs. Cargo area buttons flip down headrests and fold the third and second rows completely flat—perfect for that Home Depot run. The well for the spare tire can also store the security shade. Above the well is a storage bin with a cover that stays in position at any angle—handy for tall groceries. Inside is a new-look steering wheel and upgraded instrument panel, but the overall appearance is similar to XT5 with some shuffling of how materials such as microsuede, engineered wood, and copper carbon-fiber weave are used. The next-generation CUE infotainment system bows on the 2020 model with a rotary dial that moves like a joystick, or you can touch the 8.0-inch screen. And yes, there are volume knobs and an 8- or 14-speaker Bose sound system. Connectivity includes wireless phone charging and NFC technology to allow Bluetooth pairing of Android phones with a tap. Although there’s no Super Cruise, driver-assist systems include automatic emergency braking, adaptive cruise control, parking assist, lane departure warning, steering assist, and night vision with automatic high-beam and optional adaptive headlights, which are expected to become legal in the U.S. soon. Haptic safety alerts vibrate the seat. Is Augmented Reality The Future Of Social Media?